Ambience: Open for dinner (7:00 pm to 11:30 pm. 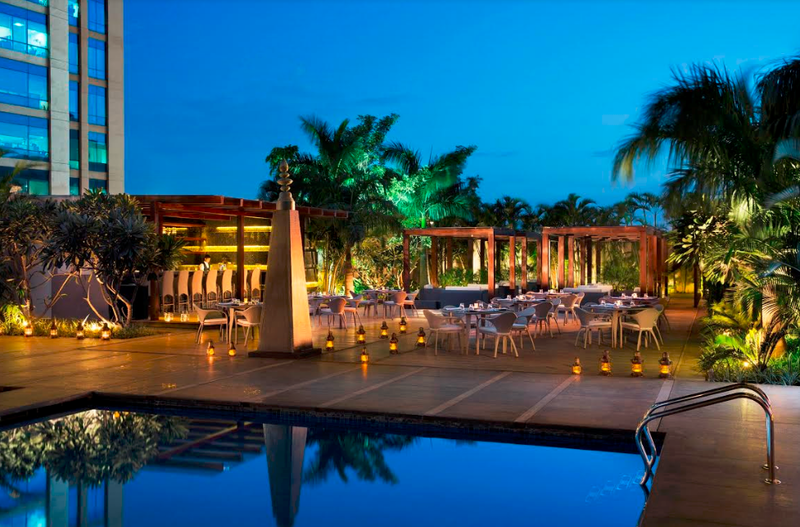 ), the Spice Terrace is located adjoining the pool side and has a great open ambience that makes the most of Bangalore’s salubrious climate. Tables are set around the pool as well as away from the pool which also has covered seating. 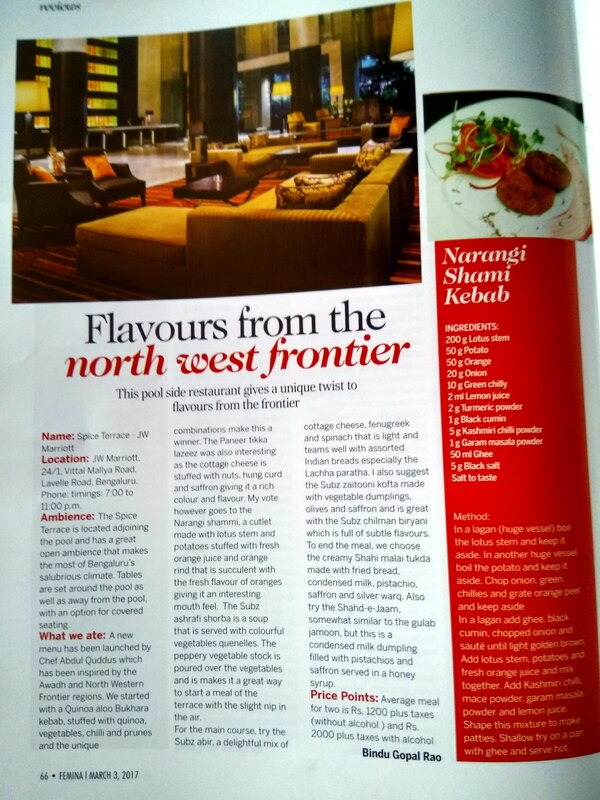 What we ate: A new menu has been launched by Chef Abdul Qudoos and is inspired by the Awadh and North Western Frontier regions. We started with a Quinoa Aloo Bukhara Kebab, stuffed with quinoa, vegetables, chilli and prunes and the unique combinations make this a winner. 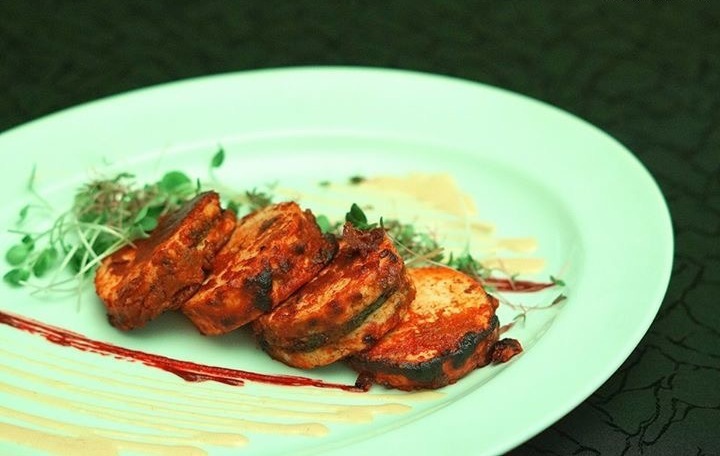 The Paneer Tikka Lazeez was also interesting as the cottage cheese is stuffed with nuts, hung card and saffron giving it a rich colour and flavour. 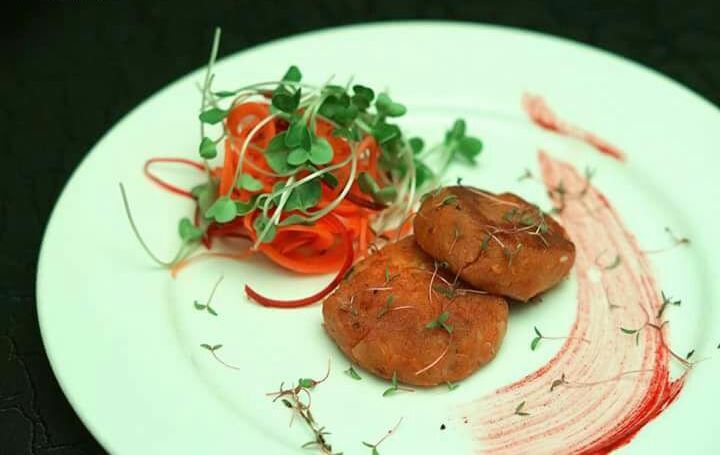 My vote however goes to the Narangi Shammi that is a cutlet made with lotus stem and potato stuffed with fresh orange juice and orange rind that is succulent and the light orange flavour makes it flavourful. The Subz Ashrafi Shorba is a soup that is served with colourful vegetables quenelles and the peppery vegetable stock is poured over the vegetables and is hearty and yet light making it a perfect start to the meal. In the main course try the Subz Abir, a delightful mix of cottage cheese, fenugreek and spinach that is light and teams well with assorted Indian breads especially the Lachha Paratha. 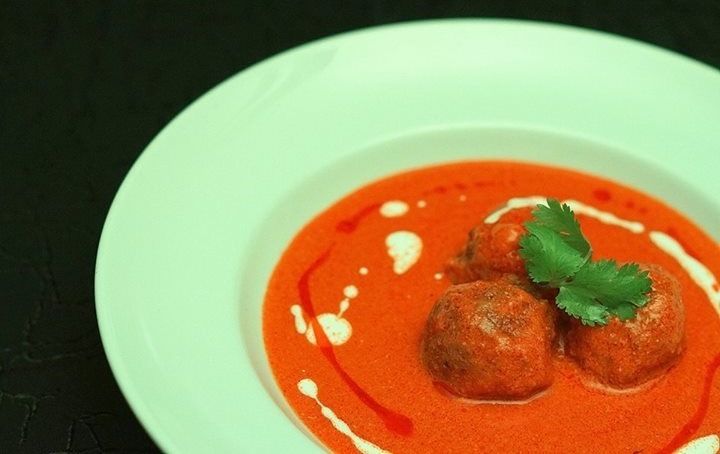 I also suggest the Subz Zaitooni Kofta made with vegetable dumplings, olives and saffron and is great with the Subz Chilman Biryani which is full of subtle flavours. The best part of the meal is the simple flavours of the food that is never too spicy and well balanced. To end the meal with desserts we choose the Shahi Malai Tukda amde with fried bread, condensed milk, pistachio, saffron and silver leaves is rich, creamy and melts in your mouth. 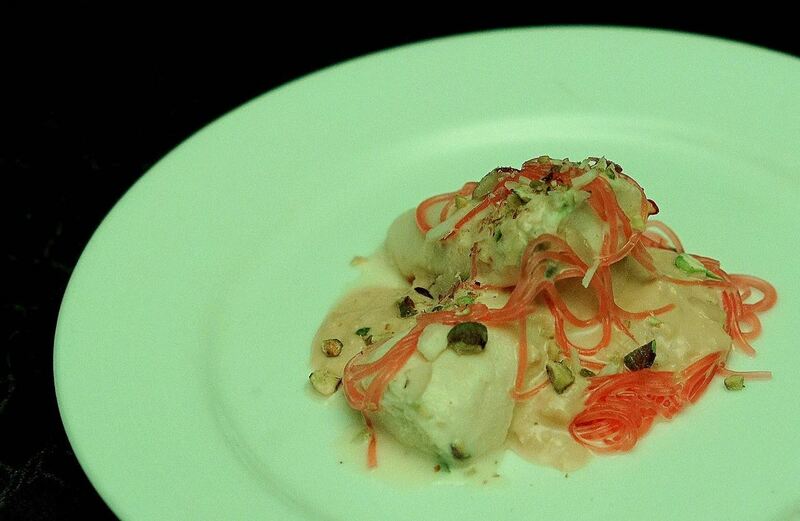 Also try the Shahd-e-Jaam, akin to gulab jamoon a stuffed condensed milk dumpling filled with pistachio, saffron and honey syrup. And if you have room for more, try the Kulfi falooda served with rose flavoured vermicelli and you have a meal that will leave you feeling satiated. Now that is what a good meal is all about Right? In a lagan put ghee. Add black cumin, chopped onion and sauté until light golden brown. Add lotus stem, potatoes and fresh orange juice and mix together. Add Kashmiri chilli, mace powder, garam masala powder and lemon juice. Shape this mixture to make patties. Shallow fry with ghee on a pan and serve hot.